Best Whey Protein is a natural protein. Tastes great and very affordable. I love Best Whey Protein use it all the time. I will continue to reorder it! 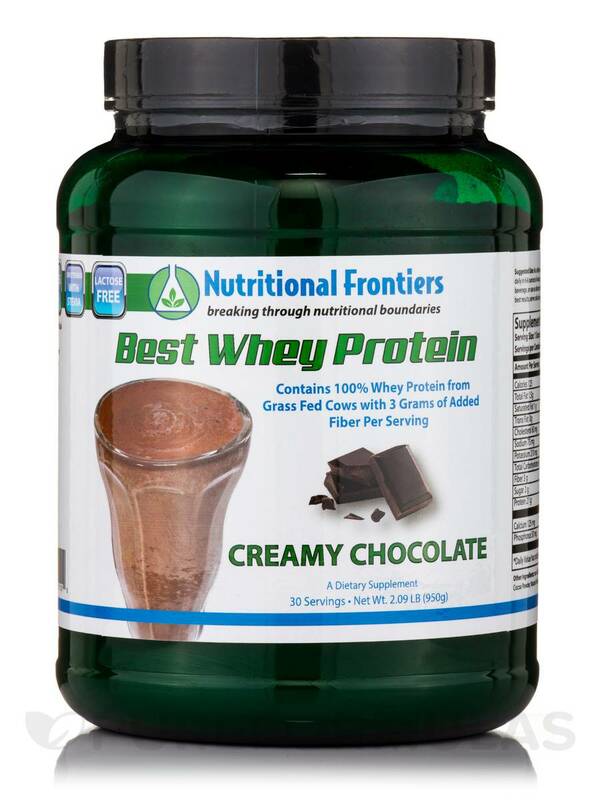 Most protein shakes taste awful but Best Whey Protein (Creamy Chocolate) by Nutritional Frontiers one is pure and tastes delicious! Contains 100% Whey Protein from Grass Fed Cows with 3 Grams of Added Fiber per serving! 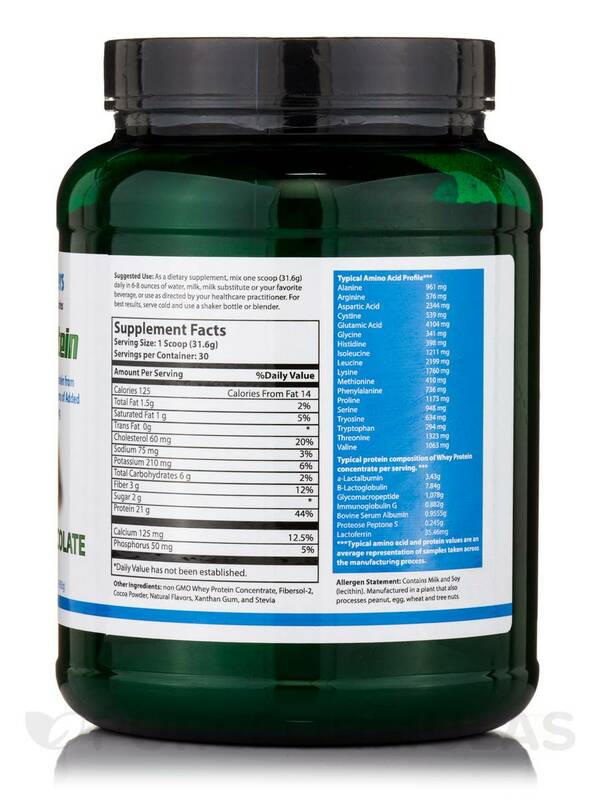 Branched Chain Amino Acids benefit muscle metabolism and provide energy directly to muscle tissue. The body requires higher amounts of branched chain amino acids during and following exercise as they are taken up directly by the skeletal muscles versus first being metabolized through the liver‚ like other amino acids. Low BCAA levels contribute to fatigue and they should be replaced in one hour or less following exercise or participation in a competitive event. One serving provides 21 grams or 80% high quality protein. 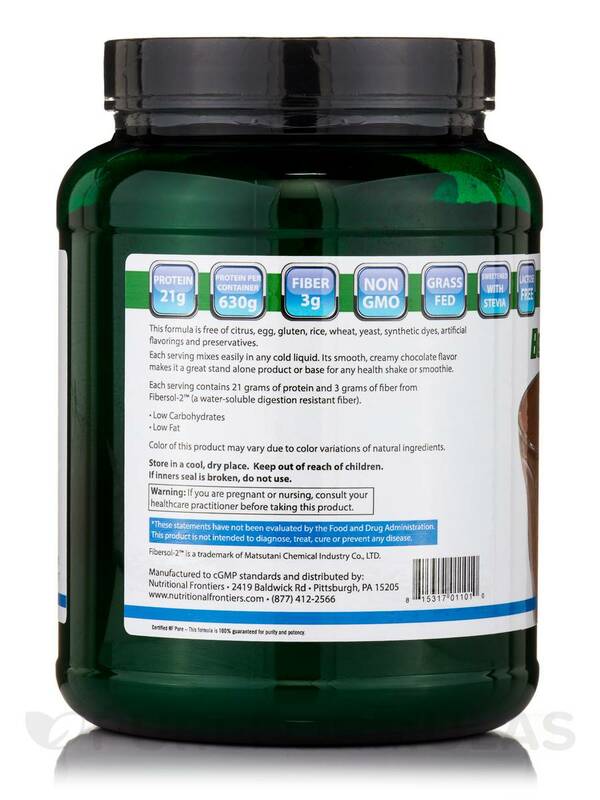 It’s a delicious‚ low calorie‚ low fat‚ low carbohydrate drink mix supplement that is sugar free! The Best Whey is a great addition to any weight management program‚ not as a meal replacement‚ but as a source of energy and to curb appetite. Many find their appetite at mealtime is reduced when they use The Best Whey as a mid-morning or midafternoon snack. 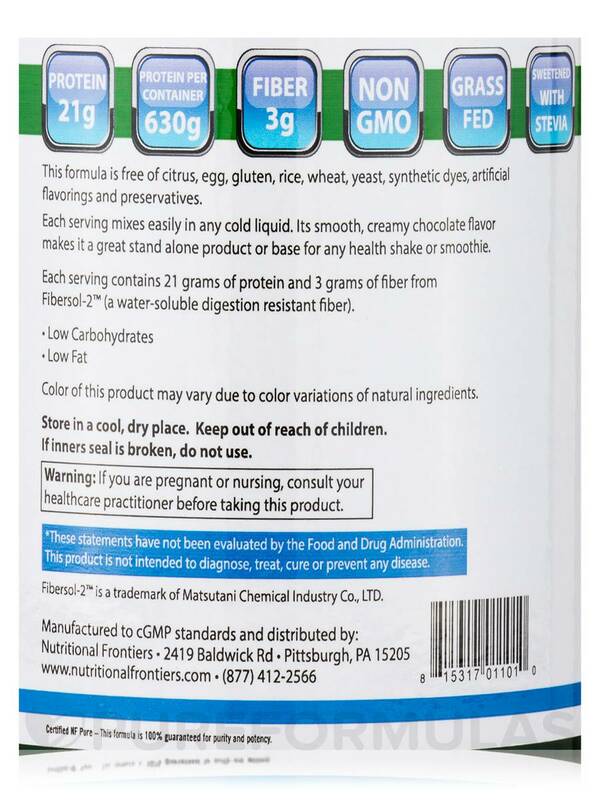 Other Ingredients: Non-GMO whey protein concentrate‚ fibersol-2‚ cocoa powder‚ natural flavors‚ xanthan gum‚ and stevia. ***Typical amino acid and protein values are an average representation or samples taken across the manufacturing process. This formula is free of citrus‚ egg‚ gluten‚ rice‚ wheat‚ yeast‚ synthetic dyes‚ artificial flavorings and preservatives. As a dietary supplement‚ mix one scoop (31.6 Grams) daily in 6-8 ounces of water‚ milk‚ milk substitute or your favorite beverage‚ or us as directed by your healthcare practitioner. For best results‚ serve cold and use a shaker bottle or blender. Store in a cool‚ dry place. Keep out of reach of children. If inner seal is broken‚ do not use. If you are pregnant or nursing‚ consult your healthcare practitioner before taking this product. Allergen Caution: Contains Milk and Soy (Lecithin). Manufactured in a plant that also processes peanut‚ egg‚ wheat and tree nuts. Every day I drink Best Whey Protein by Nutritional Frontiers for breakfast. It keeps me energized for hours. I also use it after a workout. I like taking Best Whey Protein daily because it builds muscle and helps with weight loss. I started taking Best Whey Protein (Creamy Chocolate) in January of 2013 when I began a diet through my chiropractor. Since I left the program I have had enough to hold me till this time. He stopped using best whey and went to another brand which I do not like. I was so thrilled when I found this on line I have been looking for a couple of months now in different stores. the flavor and the fact that it really replaces a meal. It is very filling. Great price and they ship very fast. Best Whey Protein was recommended to me by my Nutritionist I was skeptical because I didnt want to gain weight. Best Whey Protein protein is different then most others I drink 1-2 shakes everyday. And in 4 months and eating better with Best Whey Protein I lost 25 pounds. I Love the taste and The Best Whey has helped me with my weight loss. Great Whey for the Money! 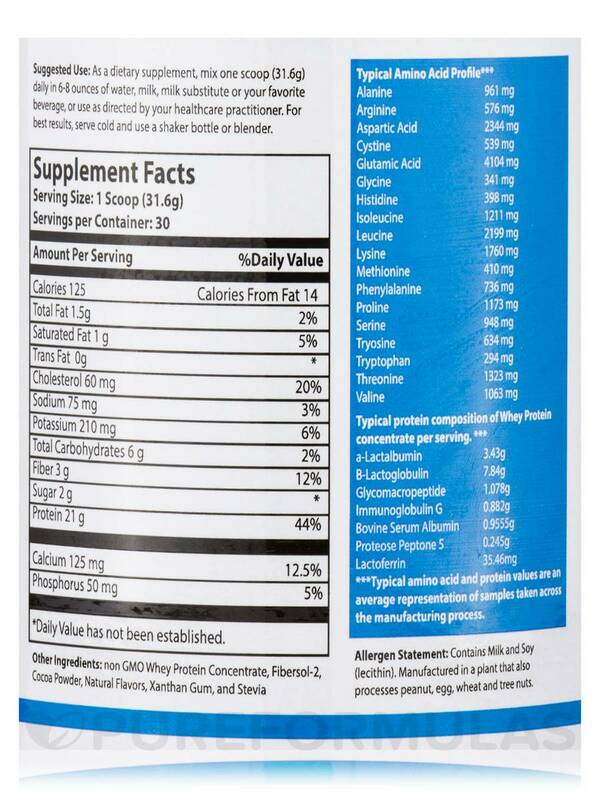 I ordered this product because I purchased it at my Doctors office and loved it. The Best Whey is great for a morning breakfast or lunch. Its low-calorie with 21 grams of protein great for vegetarians looking to get enough protein in there diet. The whey mixes great with water and ice soy milk or rice milk (everything I have used with it so far). It is also great with a few berries. I add probiotics to mine along with ground flax seed. It does not mix super creamy however it is thicker than the usual shake mixes I have tried. I would order this product again. Mixes a little thicker than most whey protein. Tastes good not chalky. Can taste the stevia even though does not have alot in it. Wish it would mix up a little thicker.